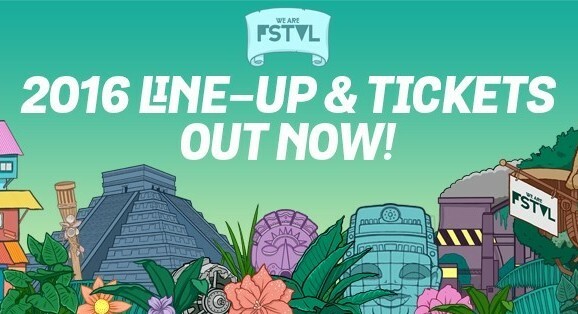 We Are FSTVL information and discount tickets. With one of the dopest festivals in front of us this coming spring the promotional machine of We Are FSTVL is running again and this year we are a part of it here at Dirty Disco Radio. Not that we are hosting a stage or performing at this festival, and yes offcourse we would love that! But we love to bring you the good stuff just as we like to bring you quality music every week in our weekly podcast we also like to bring you other quality that matters and relate to what we do. The We Are FSTVL is one of the festivals we like to support and even better we can deliver you tickets with discount as the regular tickets on the We Are Festival website are running out already. Since this month i became an official We Are FSTVL Ambassador which means that i sell tickets under the official We R FSTVL ticket price. But there is a but, you need to be fast, i can sell a limited amount of tickets for this price every time the batch runs out i can get a new one but the price will also increase on it. Never the less just remember that as long as i have tickets i they are under the official selling price. We Are Festival ticket prices. Right now you can get the following tickets with me. We Are FSTVL 2016 Vip Tickets. If you are in need of VIP Tickets or group deals just let me know and I’ll arrange those for you, i have a direct line with the We Are Festival Headquarters so that should be no problem at all. Whenever you buy tickets with me all sales go trough the official We Are FSTVL channels and if you want to check that if I’m an official seller just let me know and I’ll get make sure you get my credentials over. How to get your We Are FSTVL Tickets? All you need to do to get your tickets from Dirty Disco Radio is sending me an email by using the contact form right below on this page. We Are FSTVL 2016 Line-Up. Once again the line up of We Are FSTVL 2016 is promising, as stages hosted by labels and organizations like: Defected, Glitterbox, Paradise, MK with his very own stage, UKF, Cocoon and much more as overtime more Act’s and artists will be revealed. Check out the Line-Up right here. As you can see this year on the 28th and 29th of May the Bank Holiday weekend in Upminster, Greater London will be wicked with We Are FSTVL being held there. We definitely hope to see you this year at the We Are Festival, we from Dirty Disco Radio are really looking forward to this massive festival and to see all those great acts playing live, we will be there if you are there so hook up with us and get your tickets by sending us your email, phone number and name through the contact form right here. We will send a link to your email adress that comes from We Are FSTVL with the option to pay your tickets. If you have any more questions just use the contact form to get in touch. For more information about the festival check out the official We Are FSTVL Website.